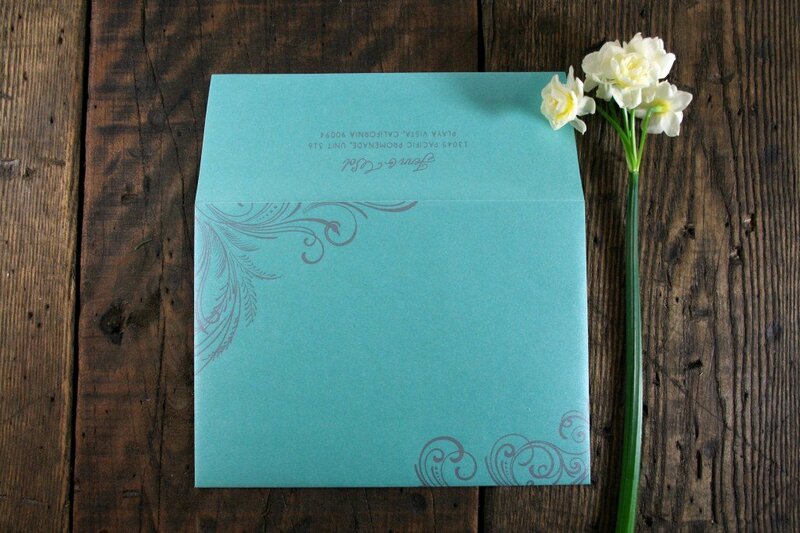 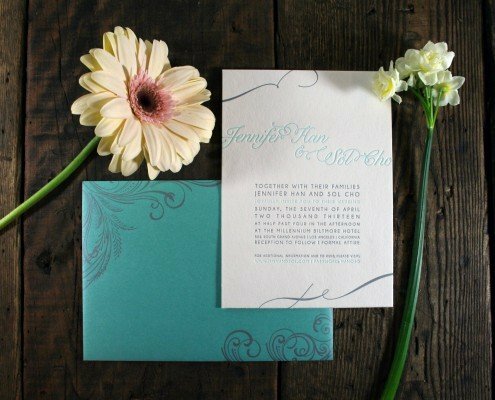 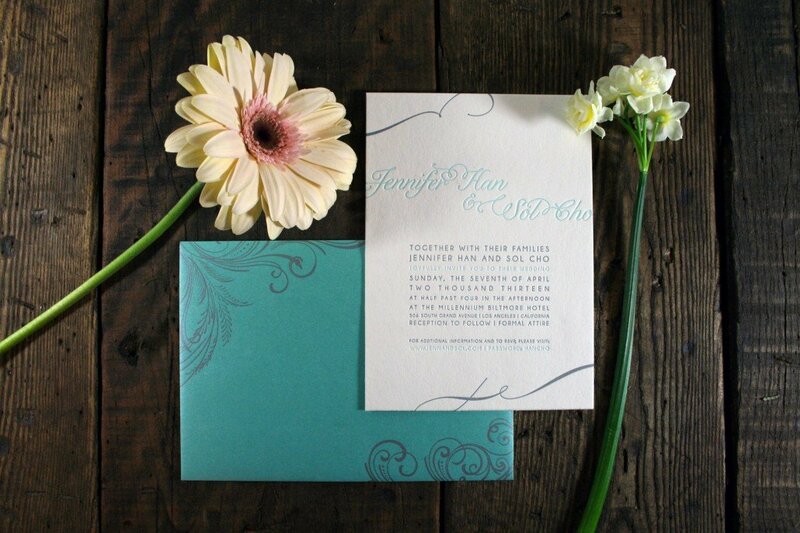 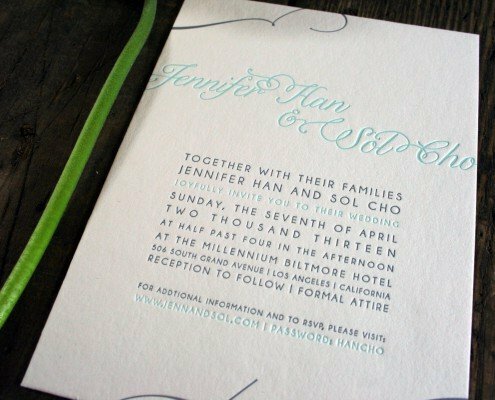 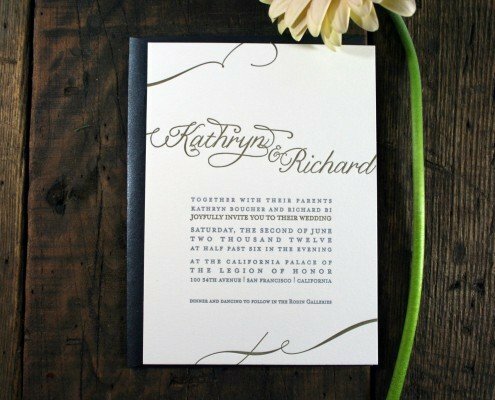 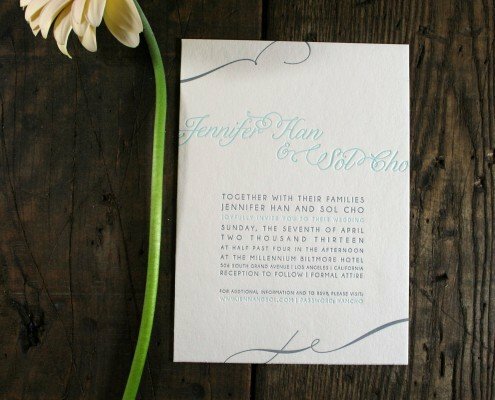 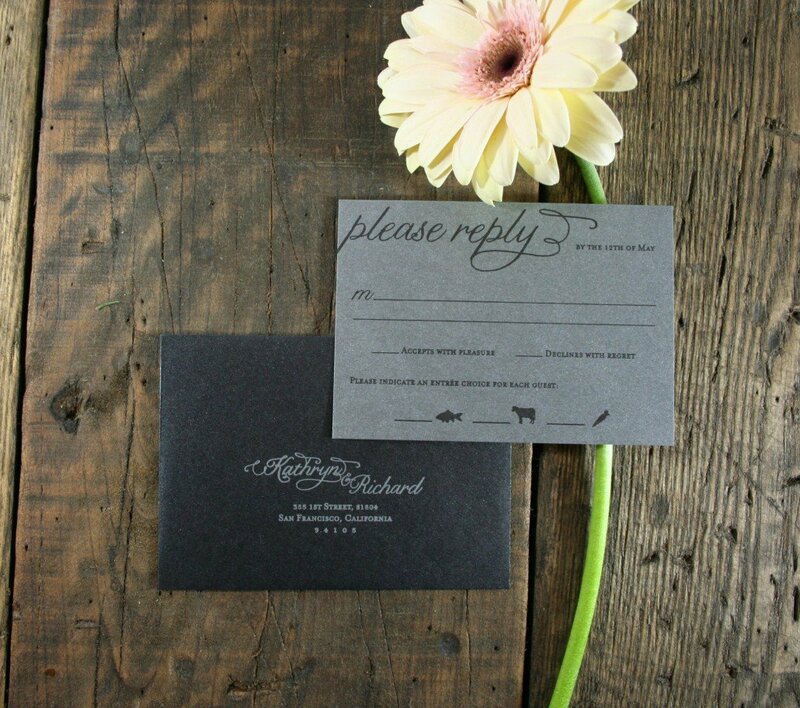 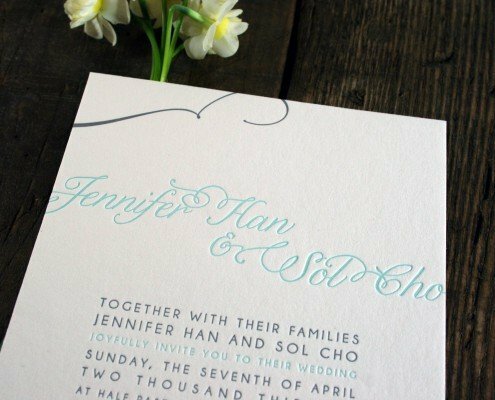 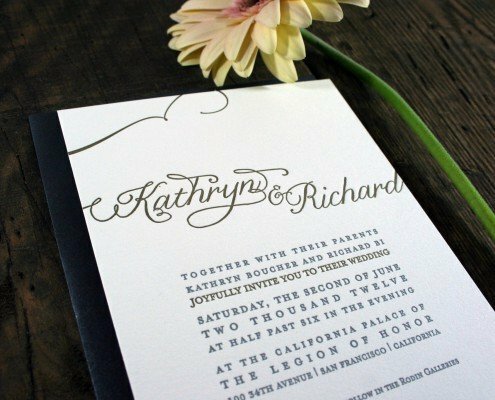 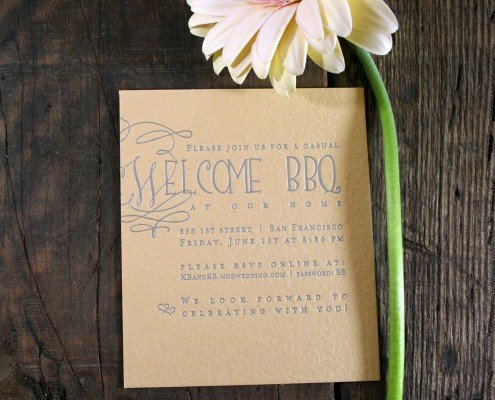 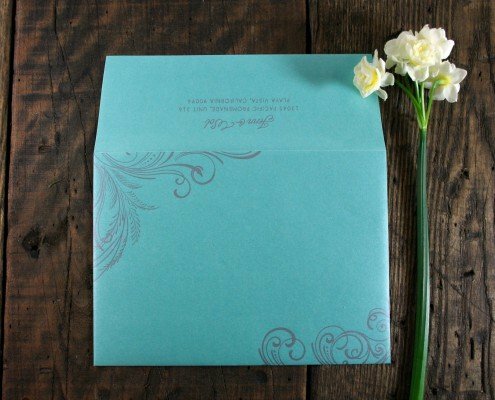 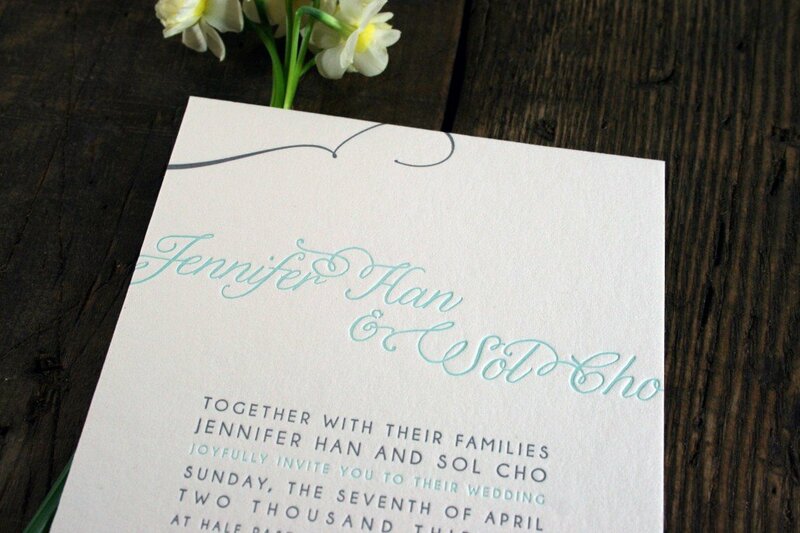 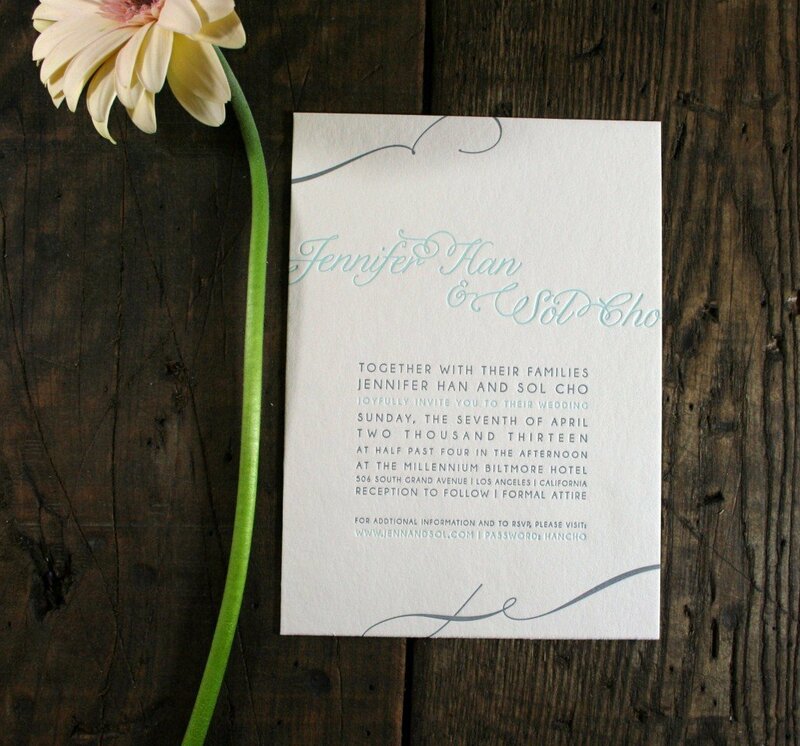 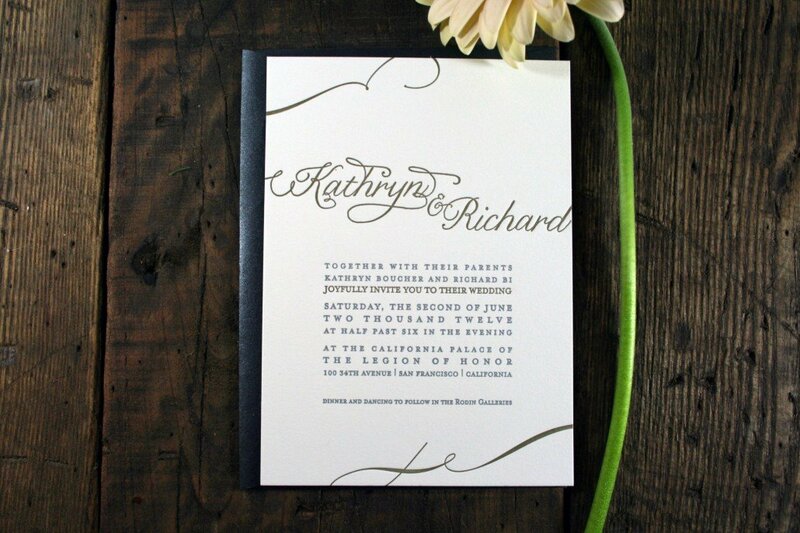 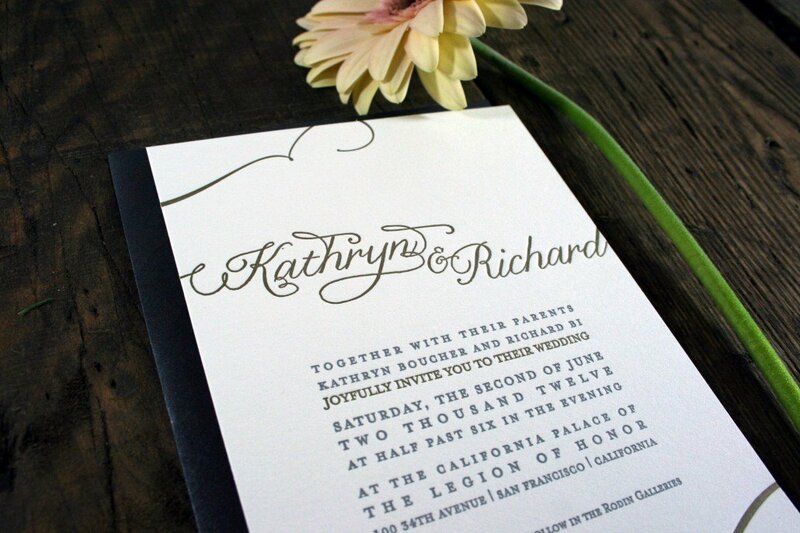 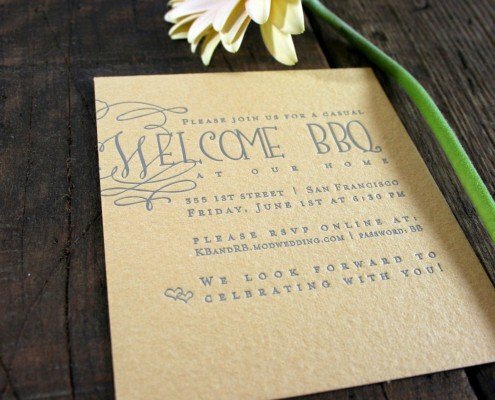 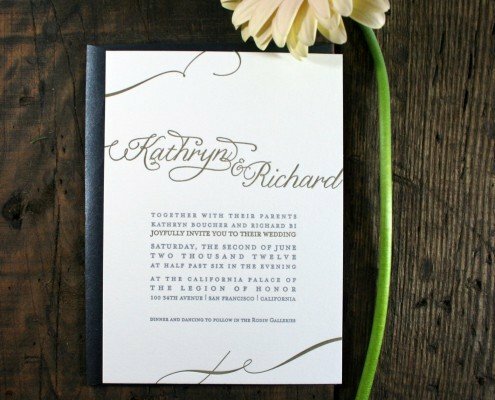 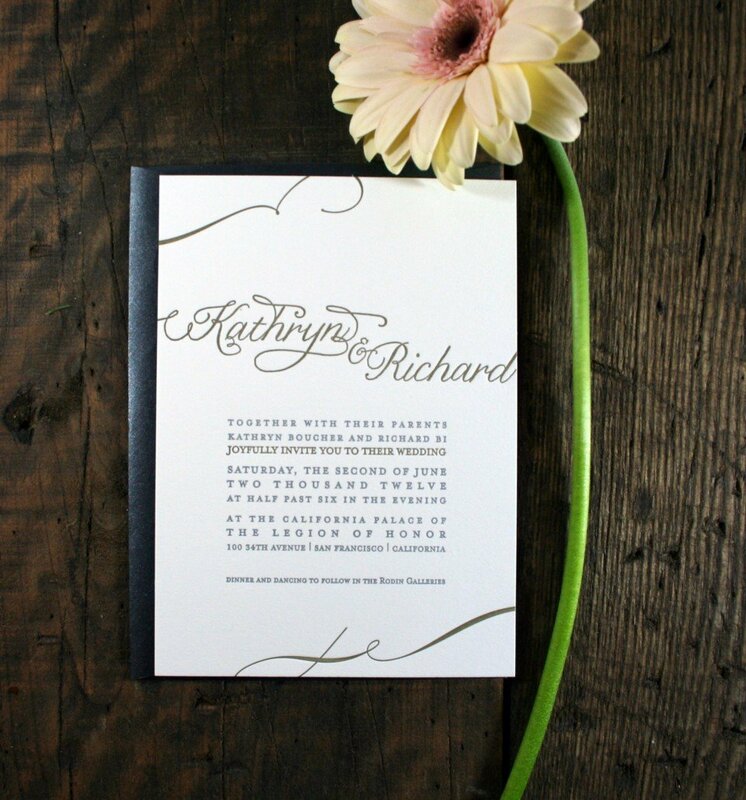 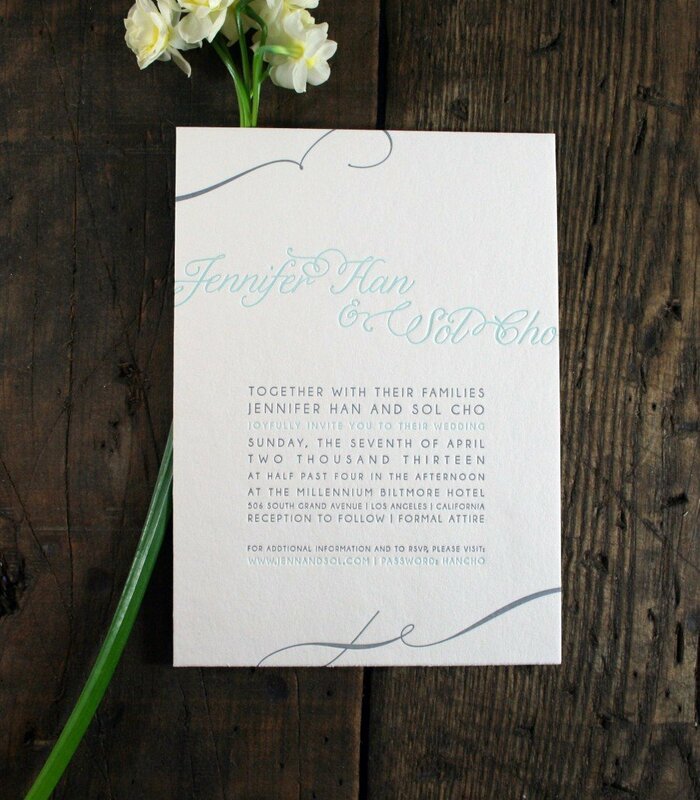 Classic flourishes pair beautifully with modern typographic design, fun colors, and unique paper choices in our Darling suite! 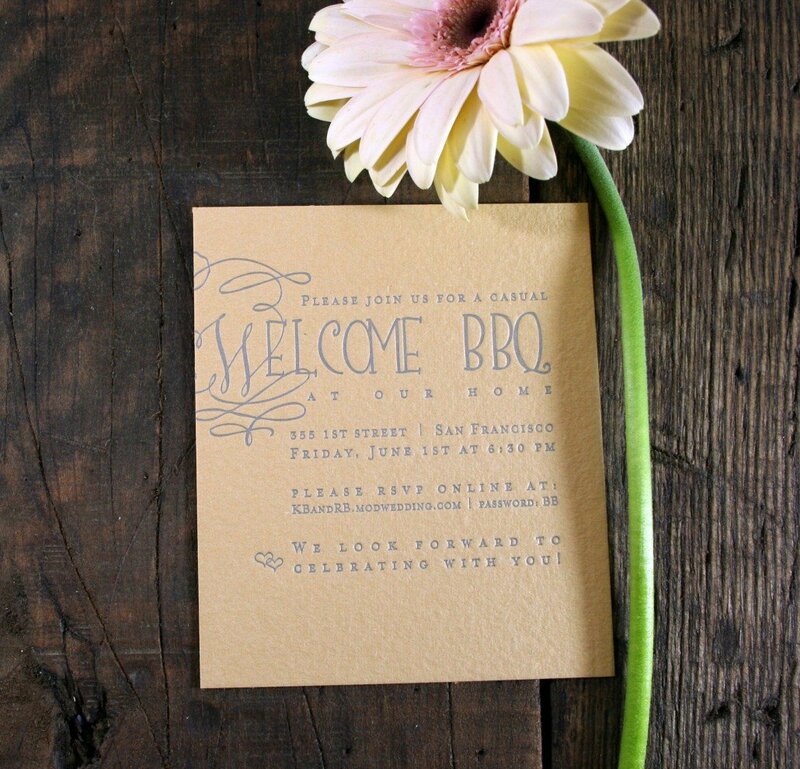 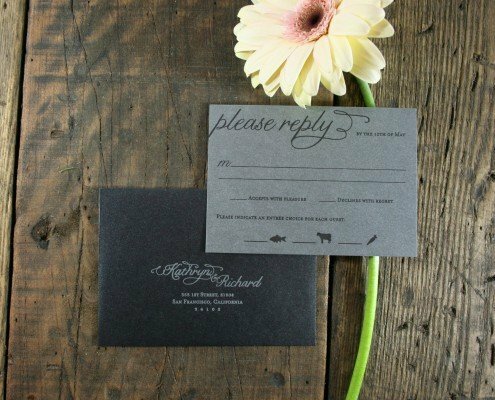 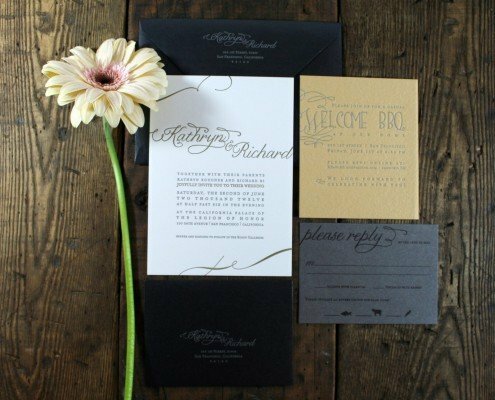 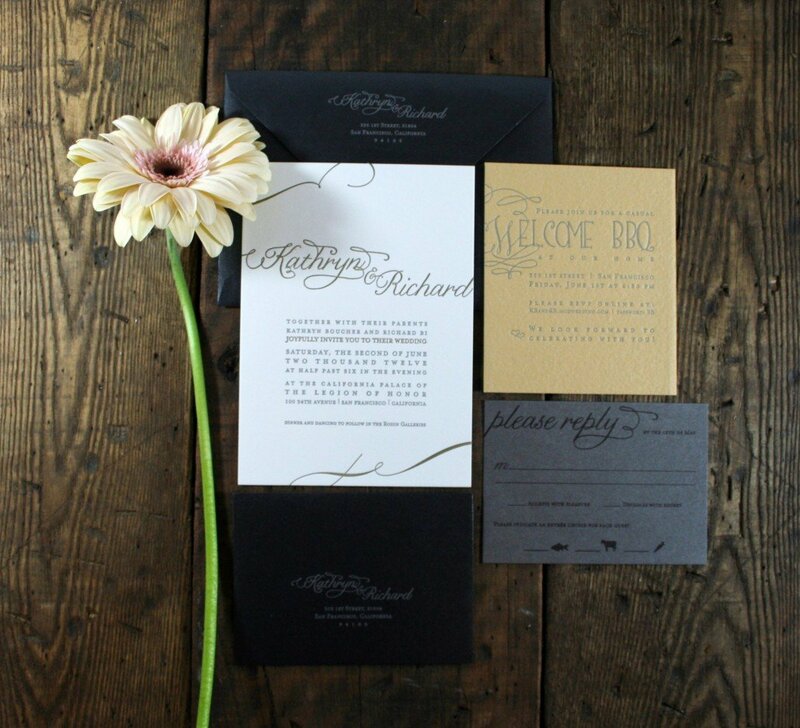 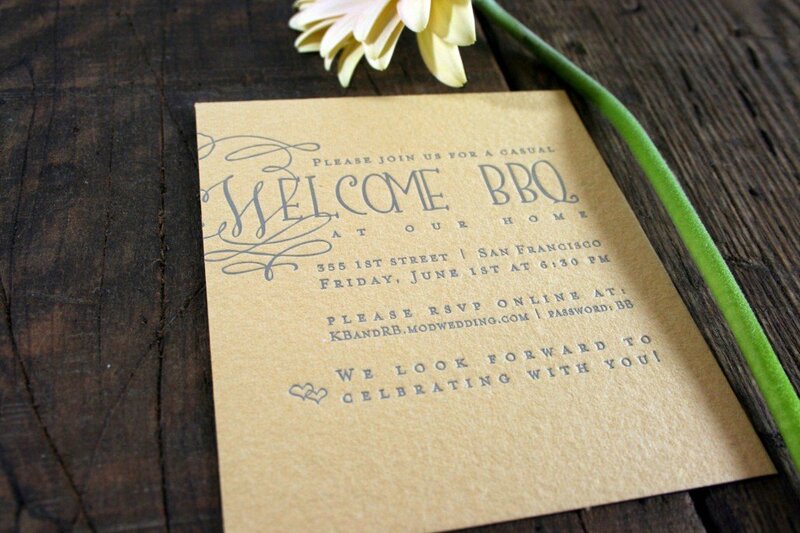 If you want a modern wedding invitation with just a hint of tradition, this beautiful suite may be a perfect fit for your perfect day! 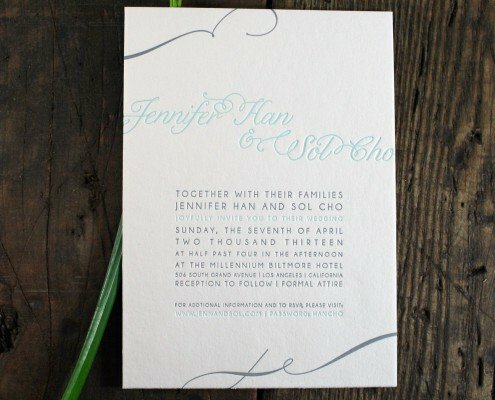 **Please note that the gallery for this suite features the design in two different color ways that were done for two different couples. 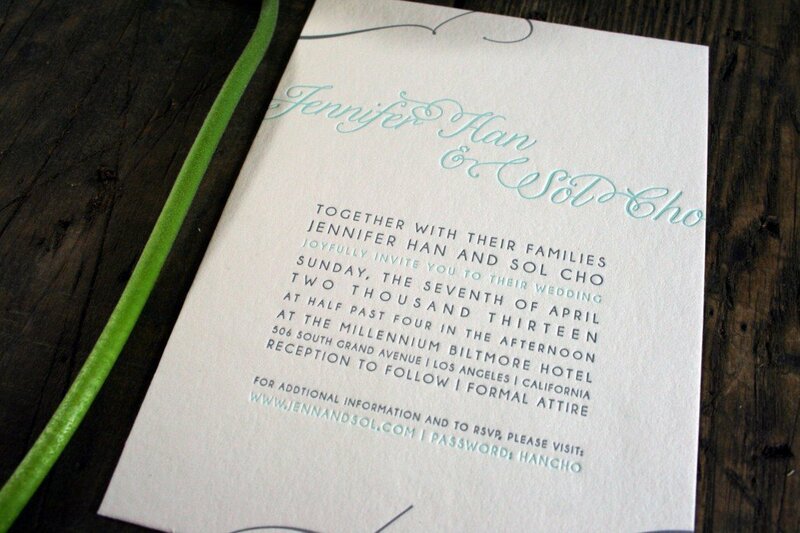 Both suites were shown to display how unique the suite can look with only minor alterations in ink color, paper and typographic choices.